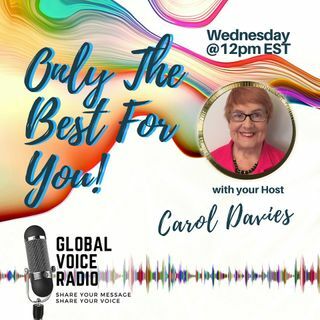 Today Carol interviews distinguished author Hal Price. He is the author of five International Best-Selling Self Help books (three of which have won the distinguished E-Lit Award for literary excellence in Digital Publishing: Two Gold Awards and One Silver Award). He is also an International Inspirational Speaker, a Master Storyteller, a Passion Test Facilitator for Kids & Teens, a “Heroic Heart” Life Coach and a long-time volunteer and Vice-Chairman of major fund raising efforts on behalf ... See More of The Teddy Bear Cancer Foundation in Santa Barbara, CA. After serving as a lifetime marketing and branding executive for fortune 100 companies and professional athletes, Hal is now using his skills as the creator of the HEROIC HEART platform and “The Eli Bear Series” of Family and Children’s Books. The “Heroic Heart Stories” are told by a Mother Bear to her young bear cub named, Eli “Bear Behind”. Eli is based on Hal himself aged about 3 years old. Hal is currently completing a series of children's books designed to teach 8 key virtues and lessons of the heart and from listening to the "secret whispers of their inner wisdom." Hal reminds us all that “we did not come here to lead ordinary lives!” He encourages people to find their gift, use their talents and find their true purpose to live the life they were meant to. He advises us to develop self-love and love and trust ourselves. He also describes his original Bear Essentials Code for Living, a thought-provoking manifesto to teach young children how to live a good life. Hal Price encourages us to connect with children through the use of stories. His goal is to create deeper, more meaningful connections between adults, parents and children via stories with lessons, virtues, history lessons and exploring social issues (like bullying, separation from parents, expressing anger, etc. which all come up in the stories). To connect with Hal Price, go to www.halpriceauthor.com or www.amazon.com/author/halprice. You can connect with Carol at www.facebook.com/Caroldaviesthepassionmotivator and https://thepassionmotivator.com.